When watching this film at the weekend the only question I had was why I didn’t watch this on Halloween, seriously it’s a fantastic film for Halloween (It has the Halloween spirit). I am going to call this film an anthology because it tells four stories and although they do kind of connect I love the idea and the stories are ridiculously built for Halloween (In a good way). My favourite thing about the film was how it tried to teach a lesson about Halloween traditions, like check your candy and don’t smash pumpkins. The film does remind me of an old favourite ‘Creepshow’ from Steven King which taught more specific lessons about more moral problems but still it had that follow the rules or meet a horrible end which is always fun for a horror film. The one that got me was the werewolf story because I just didn’t see it coming, thinking back though it should have been easy to notice. Prolific director Bryan Singer takes a turn towards horror as the producer of this Halloween shocker directed by X2 and Superman Returns screenwriter Mike Dougherty. With four interwoven tales concerning a high-school principal who moonlights as a vicious serial killer, a college-age virgin who’s saving herself for that special someone, a woman whose hatred of Halloween is only exceeded by her husband’s love of the mischievous holiday, and a callous group of teens who carry out an unforgivably cruel prank, this fall frightener mixes Tarantino-style storytelling with the kind of chills that can only occur on the darkest day of the year. Brian Cox, Anna Paquin, Dylan Baker, and Leslie Bibb all star in a Halloween treat that’s sure to deliver a few nasty tricks. Okay let’s move onto the visuals. The special effects, physical props and visual landscape shots generally where very good, each story was based in the same town but they have story shown in the woods, a rock quarry lake, the suburbs and a town centre party. All of these where perfect, looked like they did these shots on actual locations, sounds like something they should always do but they don’t and this was done very well. 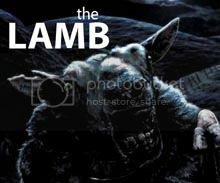 As for special effects it seemed to be mainly puppetry, make up, light effects and a few fog machines, and even though that sounds low tech I love it because nothing looked fake but it all hade an authentic feel. I don’t know who played the jack o’lantern kid but he was good and creepy. I liked how the werewolves weren’t shown too much and that they weren’t just wolves, they did alright on that one. Oh and I loved the massacre scene at the quarry as it was super creepy and looked like so many horror setting from the likes of freddy, Jason, jeepers. So yeah I am a fan of this film and will making my friends watch it next Halloween. The best reviews I found would be these “This slick and twisted effort should enjoy lengthy shelf life as a Halloween perennial.” Joe Leydon. They must sell loads around halloween and I know that’s when I got mine and its about 5 years after it came out. Also we have “Full of atmosphere, jack-o-lanterns, fun facts and yes, plenty of blood… exactly the film horror aficionados hope to see in theatres every October.” Kevin A. Ranson. 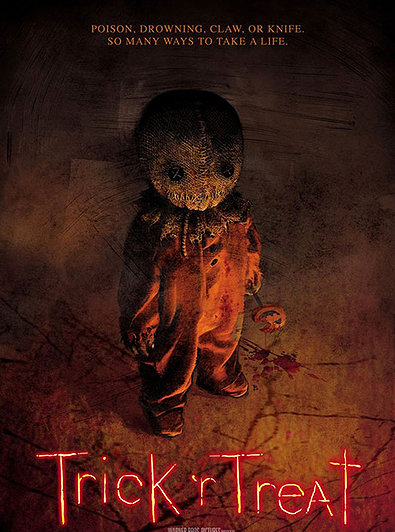 How are there not hundreds of films like this, it’s cheap to make and you could make thousands of stories up, I do believe there is a sequel in the works so don’t worry about another trick r treat. Lastly “Just as it would be alongside a fire, the spooky power of the myths and legends being spun is all in the style of the storyteller. This delivers the nasty goods with fluid grace and demented glee and is bound to become Halloween appointment viewing.” Nick Rogers. That’s the best description yet and I totally agree mainly though about the story telling. My favourite scene would have to be the bus massacre story because I loved the way it ended with the girl leaving the people who tricked her to die because of them not following the rules. The best thing about this flick is how well it captures the spirit of the Holiday. Mildly spooky, not outright scary, but totally fun. Glad you like this one Tim… I think it can use all the positive word of mouth it can get! Strange time to be watching this sort of stuff, but who cares? It’s a fun movie and I liked it because it played with my mind a bit, and even made me laugh. Good review bud. This was the best anthology to have come out in many, many years. The way they intertwined the stories and you can see part of the action of another story unfolding in the story you are currently watching is pretty amazing. You can watch it more than once and keep picking up on that aspect. If I had power around Halloween this was going to be in my suggested Halloween movie guide. So, what’s the story with Blueboy? Just before Halloween the image of a boys face will appear on a wall and if you saw his blue face you couldn’t look away. Because if you look away he’ll come out of the wall and hold his hand over your face until you are blue in the face. Great Tale! If we are all here next Halloween we should go about setting up a page with all local urban legends. My newest annual Halloween film. Love this.